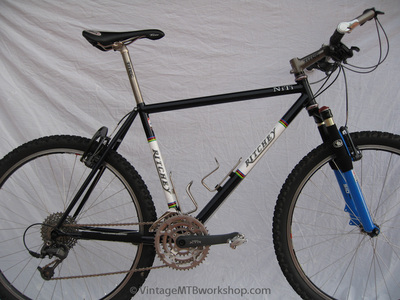 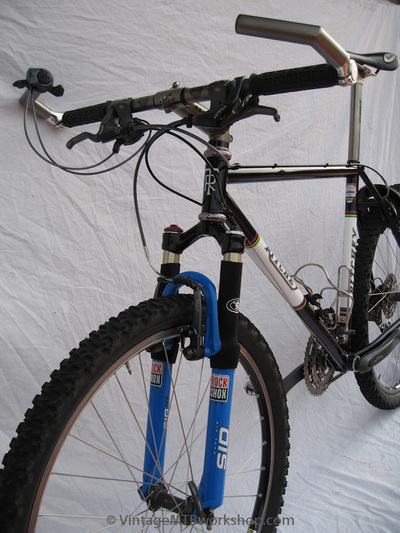 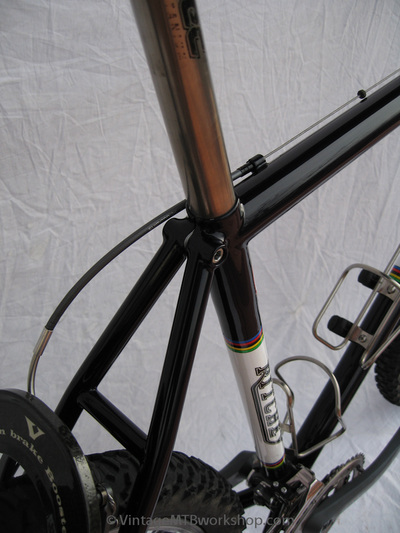 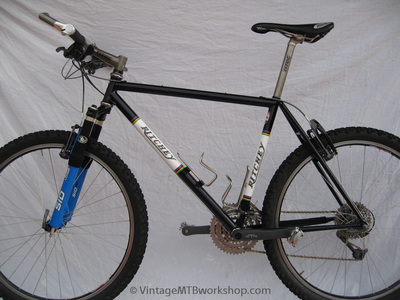 The Ritchey NiTi was the last of the P-Series steel bikes, having a custom tubeset with a sprinkling of nickel and titanium. 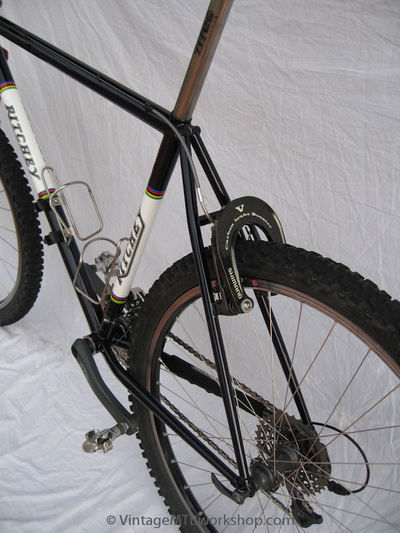 The frames were built in Japan, but the final brazing of the seat cluster and alignment of the frame was presumably done in the US. Tom often would braze the seat cluster and perform the final alignment on his imported frames. 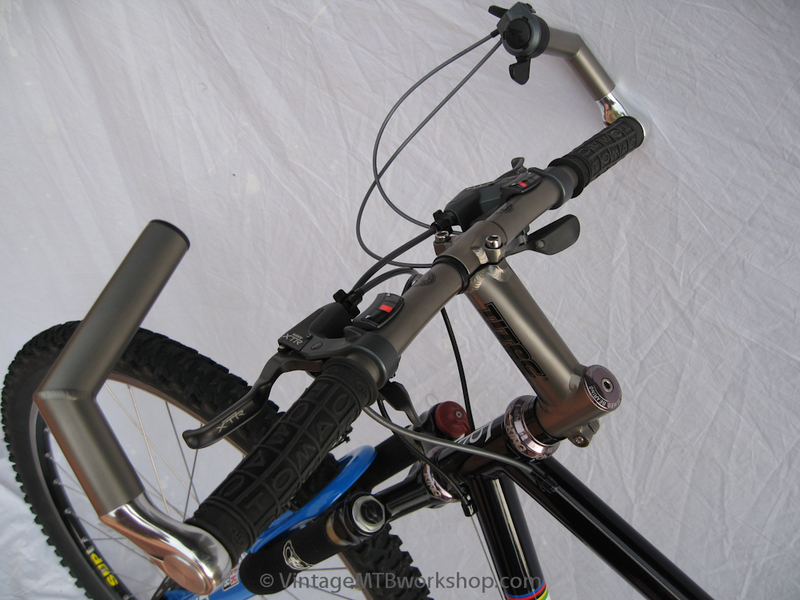 The ultra-thin, over-sized tubeset gives a lively ride, with quick handling and a characteristically short toptube.